Hello to you here on Audiko.net! 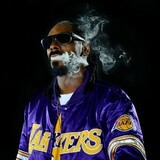 It’s easy to download a free Snoop Dogg ringtones for your iPhone or mobile. Select your favorite moment from your favorite audio track - Wiz Khalifa Black and Yellow feat. Snoop Dogg, Juicy J, T-Pa, Dr. Dre & Snoop Dogg - The Next Episode (BrEaKzFuNk & HeadBe, Dr Dre Feat Snoop Dogg - The Next Episode FR, or any other track. Then download the prepared Snoop Dogg ringtones to your gadget, and enjoy Hip-Hop music by Snoop Dogg every time your phone rings. You can download your track piece both in the MP3 and m4a formats, played by both mobile phones and iPhones. Just select a track, and choose free Snoop Dogg ringtones download option.